Rezwana Abed is a Research Associate at IID. Rezwana majored in Environmental Economics and Policy Management and minored in Global Poverty and Practice from the University of California, Berkeley. 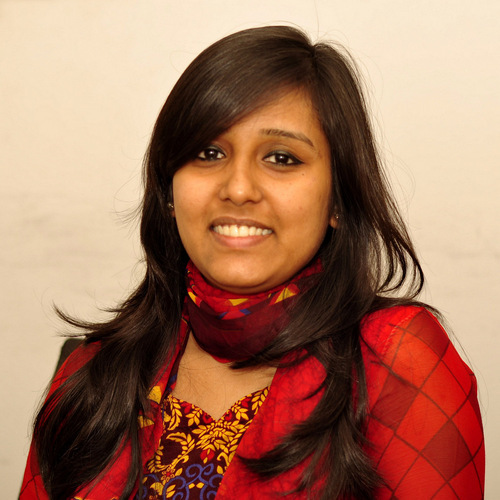 Rezwana’s research interest lies with ICT4D, Population Economics, Developmental Economics, and Economic analysis etc. Prior to her engagement with IID, Rezwana held employment at Wells Fargo Bank in Los Angeles, Ca. She has availed Study Leave from IID at present for completing her Masters in Public Policy from University of California, Berkeley.